We offer a selection of ready-made shelf companies that have never traded before. Once the company is purchased we transfer both its equity shareholding and management control to the new owner with a contract signed in front of a notary public. We can issue a power of attorney within 24 hours of purchase so that you can start using the Bulgarian company before the transfer and representative powers are entered in the Bulgarian Company register. All of our pre-registered shelf companies are free of any liabilities, liens and charges and offer the same level of security as the ones formed as a result of customer order. We can change a purchased shelf company name to one preferred provided that it has not already been taken or reserved by someone else. You can start running your business as soon as possible as they have already been registered in the Company register. The name of the company, its office and directors can be changed easily within a few days. The companies have no debts, their basic capital is fully paid up, they have no receivables or liabilities. They are already registered in the National Revenue Agency as a legal entity. Their accounts are kept properly and all their statutory duties are fulfilled, which enables you to participate in government and private procurement tenders or project finance. 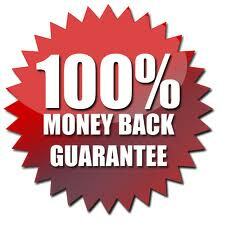 We provide Money Back Guarantee for all our shelf-companies if you are not satisfied by our service and have reasonable complaints.